The deer’s coat is a reddish-brown in the spring and summer and turns to a grey-brown throughout the fall and winter. Recent estimates put the deer population in the United States at around 30 million. Deer have a sense of smell 10,000-times more sensitive than humans. Conservation practices have proved so successful that, in parts of their range, the white-tailed deer populations currently far exceed their carrying capacity and the animal may be considered a nuisance. Deer causing problems in your lawn or garden? With deer populations exploding in rural and suburban areas, landscapes are feeling the damaging effects of heavy deer browsing. 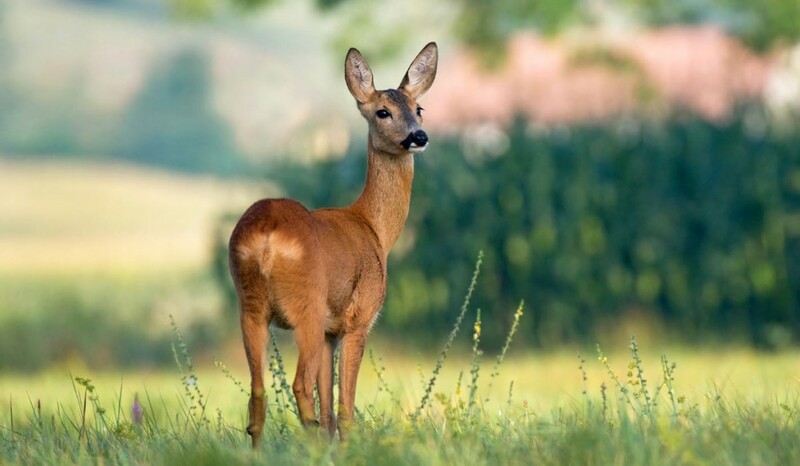 Deer can consume over 10 pounds of vegetation every day. Nature’s Defense is the most powerful form of Deer Control available today and your natural solution that is easy to use and guaranteed to work. 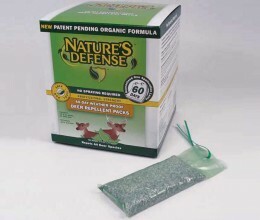 Hang each 60-Day Weather-Proof Deer Repellent Pack using the enclosed twist ties, 2 to 4 feet off the ground. Reapply every 60-Days. Note: Each property up to ½ acre should be treated with a minimum of 15 Deer Repellent Packs.